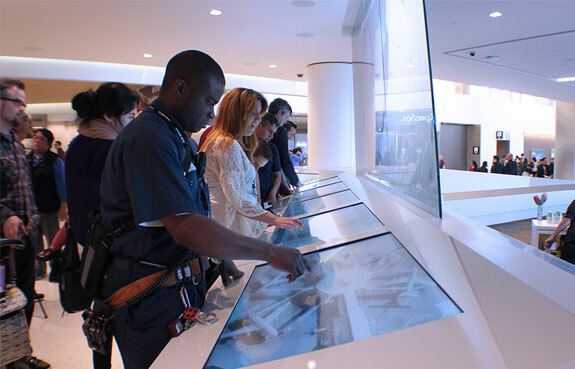 Razorfish Emerging Experiences’ “Flight Deck” for SFO. Last week I was traveling through San Francisco International airport so I had the privilege of seeing this first hand. It’s pretty amazing in person and the photos do not do it justice. 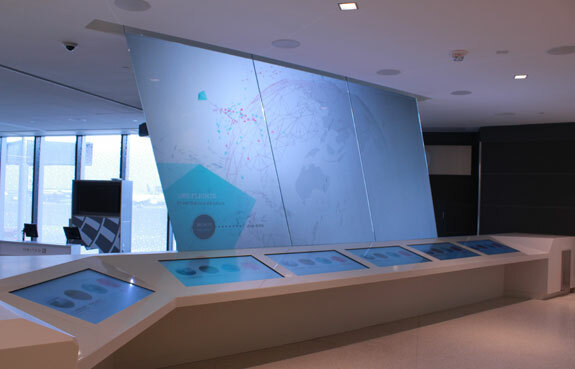 Razorfish has created an immersive experience that tries to recapture the golden age of travel, before jetliners became the Greyhound busses of the skies. 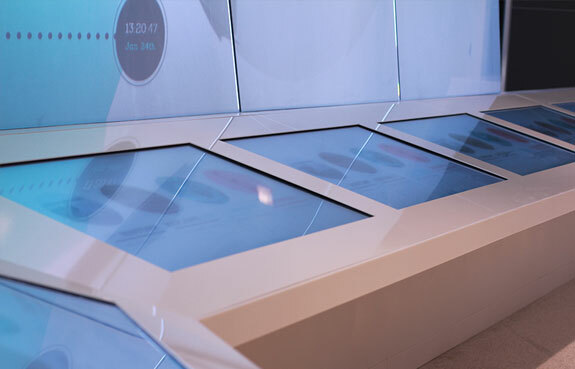 There are three total components to the entire experience; an interactive and real time large scale projection, the multi-touch kiosks, and the mobile component. 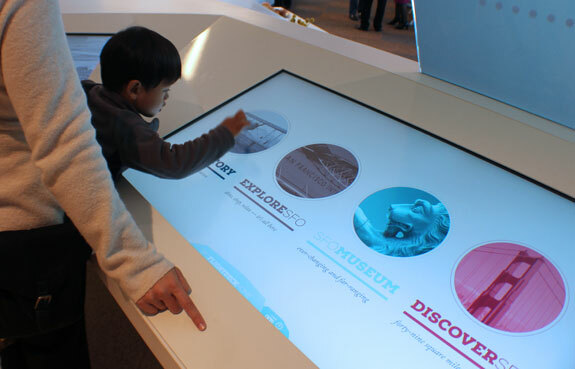 “Flight Deck” Featuring massive digital displays customers can see real-time flight information and updates, and interact with 6 touchscreen kiosks that feature interactive content about the San Francisco bay area, and the destinations the airport serves world wide.The entire service is connected to a mobile service allowing travelers to be connected even on the go. 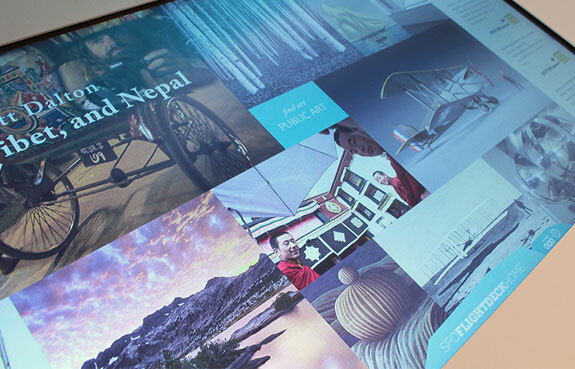 While the primary experience lives at Terminal 3, with the projected visualization functioning as a beacon calling on all SFO guests to contribute to the global SFO travel story, the total experience extends beyond SFO in the end. If you are traveling through San Francisco and have the time, I highly recommend stoping by to see this. For more info on Flight Deck, click here. Posted in Innovation, Technology, travel and tagged Design, Flight Deck, History, Innovation, Razorfish, San Francisco, SFO, Storytelling, Technology on February 3, 2014 by Author.